While it is more proper and personal to hand write your wedding envelopes, brides sometimes choose to print the addresses on the wedding envelopes using their home printer. Brides magazine suggests that a bride should only print the addresses on her envelopes if the font used is close to, if not the same as, the font used on her invitations. In this case, the bride should always print the addresses directly on the envelope and not a label. Retrieve your address list of all of the guests you will be inviting to your wedding. This will be the information you will need to enter into the computer in order to print the envelopes. Open your word processing program. Navigate to your "Tools" menu on the main formatting menu bar. Under "Tools" you will choose "Envelopes and Labels" to enter your addresses into. Enter your address in the "Return Address" option in the "Envelopes" settings screen. The return address in this case should be from the person who is hosting the wedding. In the "Mailing Address" box, enter the address of the guest to whom you are sending the invitation. Adjust your font by highlighting the addresses and choosing the "font" option. Remember to match it as closely as you can to the font printed on your wedding invitations. Choose the envelope size from the "Options" menu or designate what position on the envelope your addresses should print. Load the envelope into your printer. Place the envelope into the designated area within your printer that accommodates envelopes. 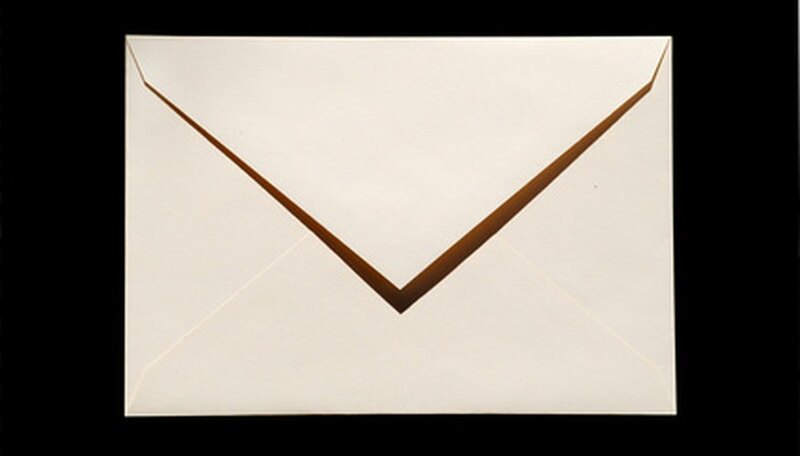 If there is not an area for the envelope, you will often place the envelope in the printer tray farthest to the right hand side. Place the envelope face down with the flap on the top placed on the left hand side of the envelope. Choose the "Print" button on your computer to print your envelope. Retrieve the single envelope from the printer and lay it flat on a tabletop so that the ink can dry thoroughly. Repeat this process, Steps 1 to 6, for the additional envelopes. Brides: Is it ok to print our envelopes on a computer?